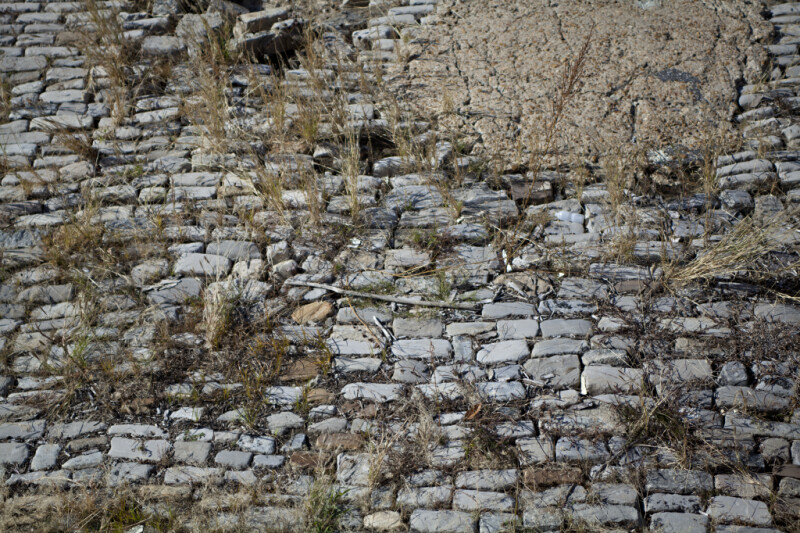 This is a section of the Historic Cobblestone Landing, in Memphis Tennessee. This may be one of the oldest intact cobblestone landings in the United States, and is slated for a restoration project. There are weeds growing through the cobblestones, and one spot is covered with concrete.